MediaTek has announced its Dual 4G VoLTE (Voice over LTE) solution that supports dual SIM, dual stand-by for VoLTE. MediaTek Helio X30 that was introduced earlier this year is the first SoC to support dual 4G VoLTE on the China Mobile network. 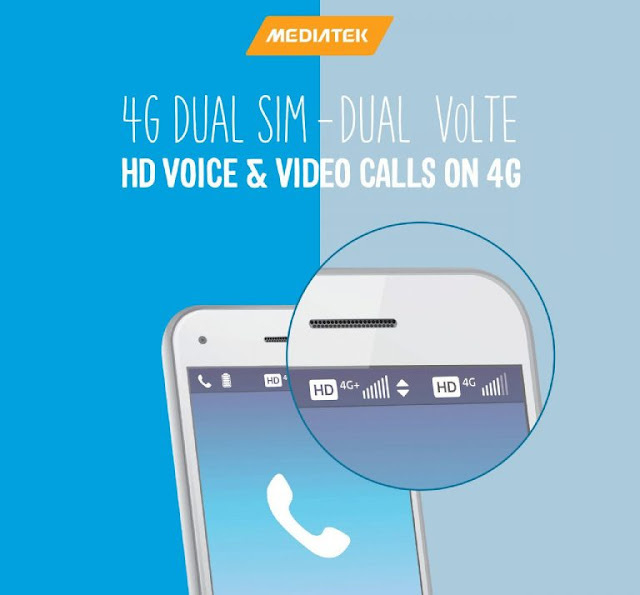 If you don’t know, VoLTE is a 4G LTE network-based, high-definition voice technology for high-speed wireless voice and video communications over a 4G network. Compared to traditional 2G and 3G networks, VoLTE offers HD voice and video calls that are lower latency and higher audio and visual quality. Presently, most of the advanced dual-SIM smartphones offer 4G VoLTE support on only the primary SIM, while the secondary SIM in standby will offer generic 2G, 3G, or 4G connectivity support. The chipmaker says its last year launched MediaTek Helio X30 SoC is the “industry’s first chipset to complete the interoperability test of dual 4G VoLTE on the China Mobile network.” While the new Dual 4G VoLTE solution is said to improve the stability of the calling quality and maximize data transfer rates, offering enriched experience to users.